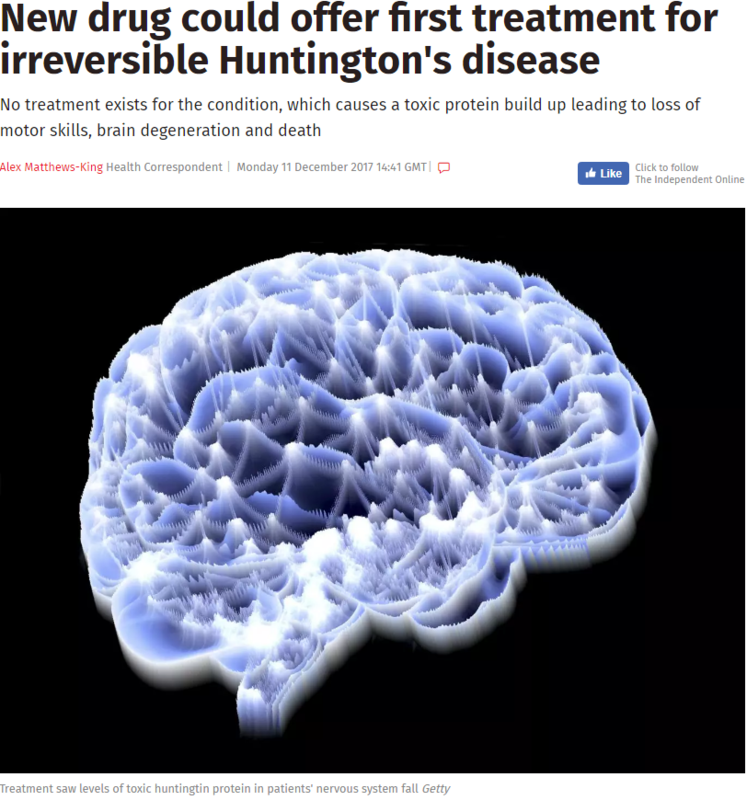 In December 2017, Huntington’s disease made global headlines for a great reason: scientists had made a breakthrough in the hunt for a treatment. The drug, called Ionis-HTT Rx, is hoped to lower the amount of huntingtin protein in a person with HD which may slow down, stop or even reverse some of the symptoms of HD. The drug proved safe for humans, allowing researchers to plan for the next phase of testing: outcomes. Early indications are that the drug is effective in reducing the amount of huntingtin protein. What researchers do not yet know is whether or not this reduction through IONIS-HTT Rx treatment will have any effect on people’s symptoms. There is hope that by ‘silencing’ the protein, symptoms may be reduced, stopped or even reversed, but this is not yet known. The next phase of the trial, hopefully starting late in 2018, will investigate this. Here we are compiling many of the key news stories and articles about the drug IONIS-HTT Rx. Ionis Pharmaceuticals, Inc. (NASDAQ: IONS) announced today that Roche has exercised its option to license IONIS-HTTRx following the completion of a Phase 1/2a randomized, placebo-controlled, dose escalation study of IONIS-HTTRx in people with Huntington's disease (HD). HDBuzz: "Success! 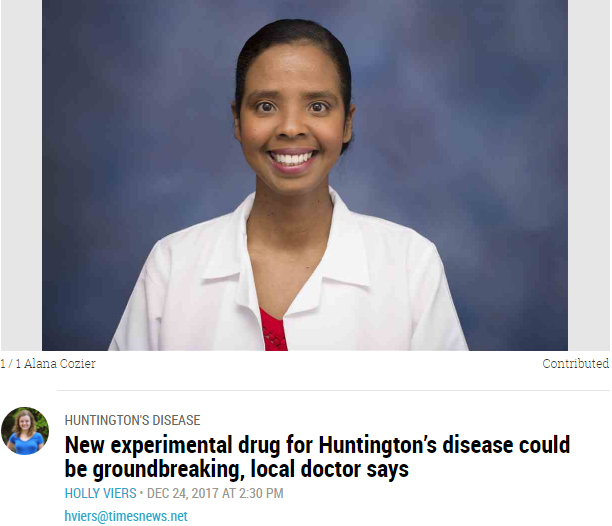 ASO drug reduces levels of mutant protein in Huntington's disease patients"
HDBuzz: "Ask the expert: Q&A on the huntingtin-lowering trial program"
Times News: "New experimental drug for Huntington’s disease could be groundbreaking, local doctor says"
KINGSPORT — A team of European researchers has given new hope to those with Huntington’s disease. As first reported last week, researchers at Leonard Wolfson Experimental Neurology Centre in London have tested an experimental drug that safely reduced the toxic proteins in the brain that cause Huntington’s. 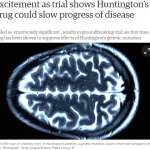 The Guardian: "Excitement as trial shows Huntington's drug could slow progress of disease"
The results have been hailed as “enormously significant” because it is the first time any drug has been shown to suppress the effects of the Huntington’s mutation that causes irreversible damage to the brain. Current treatments only help with symptoms, rather than slowing the disease’s progression. 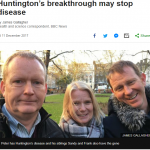 BBC News: "Huntington’s breakthrough may stop disease"
The Independent: "New drug could offer first treatment for irreversible Huntington's disease"
The unstoppable progression of the inherited disease Huntington’s could be slowed or even halted by an experimental new treatment which has proved “enormously successful” in early patient trials. 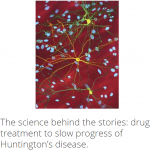 The Brain Bank: "The science behind the stories: drug treatment to slow progress of Huntington’s disease." 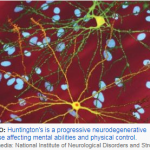 Huntington’s is a devastating genetic disease, described by patients as being like “Parkinson’s, Alzheimer’s and motor neurone disease rolled into one”. In most cases the disorder can be traced back to an inherited genetic mutation which increases the length of the Huntingtin gene. The mutated gene harbours an abnormally long sequence of the DNA base pairs C A and G (this type of mutation is known as a CAG expansion). Scientists have for the first time corrected a protein defect that causes Huntington's disease, by injecting a drug into the spine, offering new hope for patients with the devastating genetic disease.